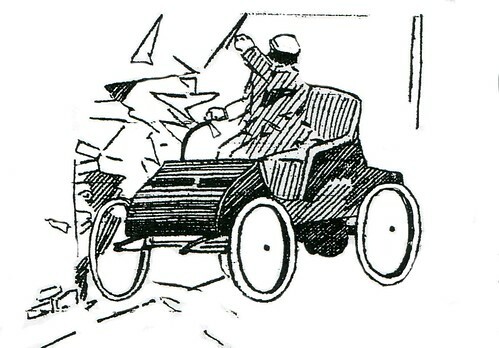 Just after the turn of the century, Joplin attorney Fred Basom received the first speeding ticket issued in Joplin. He was “hailed by an officer of the law while out for a spin,” after the mayor’s recent instructions to the police department to arrest drivers who violated Joplin’s city ordinance that set the speed limit at six miles an hour. The news item did not explain how fast Mr. Basom was going when he was ticketed or what the fine was for breaking the speed limit, but it can be expected that attorney Basom was able to secure adequate representation for his police court appearance.